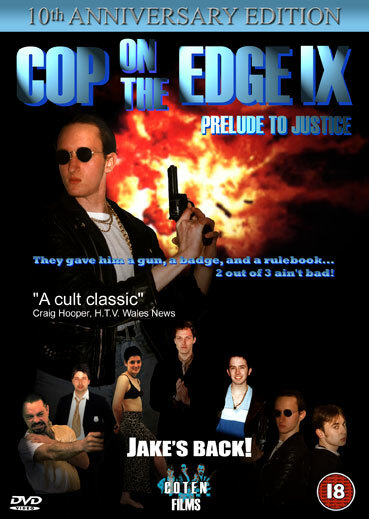 The student action comedy feature film ‘Cop on the Edge IX: Prelude to Justice‘ was made in 1997-1998 and launched the careers of directors Edward Keaton and Darren Jamieson, and their production company Coten Films Ltd. Along with film student, Nick Murray, the three produced the film while on their degree course at the ‘Newport Film School’ in South Wales. ‘Cop’ was the first feature film to be produced on the film course, though since inspiring other students as to what they could achieve through hard work, it hopefully won’t be the last.